If you would’ve told The Avett Brothers back in 2007 when they released their album Emotionalism that in five years, the best-selling album in all of music and the Grammy winner for Album of the Year would be from a roots band playing acoustic instruments and featuring emotional, singer/songwriter material, they’d probably call you crazy. And the Avetts probably would’ve never guessed in 2007 that they’d be performing with said roots band, UK’s Mumford & Sons, along with Bob Dylan nonetheless, on the 2011 Grammy presentation. But that is the power one album can have to launch a formidable music career and spurn a new movement in popular music when the right combination of sonic leadership, accessibility, and sincerity are struck. Certainly the rise of Mumford & Sons and the mass commercial success of roots music isn’t singularly predicated on just one album from one band, but if you wanted to put on your archeology hat and start digging deep into what led to popular interest in roots music, you will trace many of the clues back to The Avett’s Emotionalism. 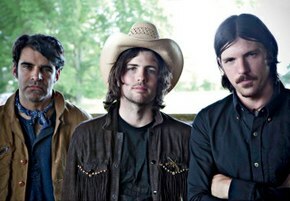 You certainly can trace the Avett Brother’s success back to Emotionalism at least. Before Emotionalism, the Avetts were a steadily-rising acoustic roots band garnering an enthusiastic following from their high energy shows and heartfelt songwriting, signed to the small, but resourceful Ramseur Records label. After Emotionalism, the band was picked up by uber-producer Rick Rubin and added to his American label, consistently selling out theater-sized venues coast to coast. People began to talk about the “Avett Brothers Model” for making it in music; one built around the idea of not hitting it big overnight or benefiting from a big push of capital and promotion to launch a career, but a slow and steady rise formed from hard, constant touring and grass roots support. It was a version of the “get in the van and drive” model from the punk music world, but one that had the potential of breaking through the usual ceiling put on independent music. The Avett Brothers became the biggest band that nobody had ever heard of, and in many ways they still are. Emotionalism wasn’t just a breakthrough, it was a template; a how-to for many facets of music, including what direction to take roots music to keep it relevant while still respecting its roots, how to market music in the dawning digital age, and how to get the “accessibility” quotient right where it didn’t disrespect the authenticity of the music or a band’s already-established fan base. The Avetts first album from 2002 was called Country Was, and worked from a similar ideal as Bloodshot Records’ “Death of Country Music,” i.e. that commercial country had lost its way, and with respect for its foundations, new life needed to be breathed into the format. Emotionalism took The Avett Brother’s wholly original lineup and idea, and made it universally appealing. Banjo, guitar, upright bass, piano in places, with both Avett brothers playing percussion with their feet is where the Avetts built their sound from, while their songs delved into the emotional side of the human experience. The two greatest Avett Brothers attributes are their songwriting, and their energy, and Emotionalism captured both vibrantly. In the opening track “Die. Die. Die.” you immediately pick up on the approach of the album that is both authentic to the Avett’s sound, but not afraid to make the song’s appeal far reaching. The band is afforded the latitude to be simple and fun at times from the brute strength of their songwriting, evidenced in songs like “Shame” and “The Weight of Lies.” So when you get to a more saccharine tune like the almost do-woppy “Will You Come Again?” you can enjoy it fully, almost craving a break from the depth instead of wondering if the song is some transparent play for mainstream attention. 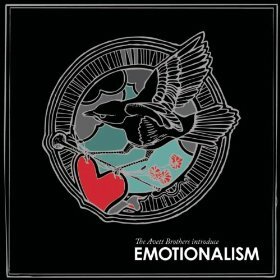 Like all Avett Brothers albums, Emotionalism features a lot of starts and stops in the songs, and heavy composition, which may come across as foreign to the country or rock ear at first. But if you want a starting point with the Avetts, Emotionalism would be it, especially the first few songs. Some might find a song like “The Ballad of Love and Hate” a little too sappy. But this is the type of fearless foray into the vulnerability of human emotion that is one of the Avett’s calling cards, and one of most appealing attributes to their die-hard fans. Emotionalism also helped to bridge different musical perspectives. The Avetts fan base consists of roots fans, some bluegrass fans, punk fans from the Avett’s past and from the band’s energy, and alt-country/Americana fans from the craftsmanship of their songs. Emotionalism also featured appearances by anti-folk founder Paleface, and former BR549 fiddle player Donnie Herron, who now tours with Bob Dylan and has appeared on albums from Hank3 and Bob Wayne. It’s unlikely acoustic roots music will stay hot forever, if it hasn’t already started a precipitous decline. There’s more than a good chance popular music will look back at this music era years from now and laugh at all the vests and beards and upright basses and wonder what was wrong with them for getting wrapped up in roots music so deeply. But the the good stuff from any era regardless of trend will always hold up through time, and it’s hard not to see The Avett Brothers’ Emotionalism being graced with such an auspicious destiny. The Avett Brothers definitely deserve all the fame and recognition that Mumford & Sons have. The Avett Brothers actually worked really hard to get where they are while Mumford & Sons just had this instant fame that they don’t deserve. I love when people assume that a band who is suddenly huge didn’t pay their dues or work hard to get where they’re at. Just because you may not have heard of them doesn’t mean they haven’t been playing bars and clubs for the last 10 years. I listened to “I and love and you” first, then went to “Emotionalism”. For me, listening to the Avett Brother’s was a catalyst where I began to realize just how bad radio music was/is and in some ways brought me here to your site. Thanks! I loved this album when it came out… And still enjoy it today. They make great records but really have to be seen live. They’ve got plenty of sappy lyrics but they have the sincerity to pull it off. Not to nitpick, but you ALWAYS spell “signed” wrong (as in signed to a label). Love the site though, first website I look to when I have time to kill.